From brain fog to muscle recovery, here's what happens when yogis add heat. 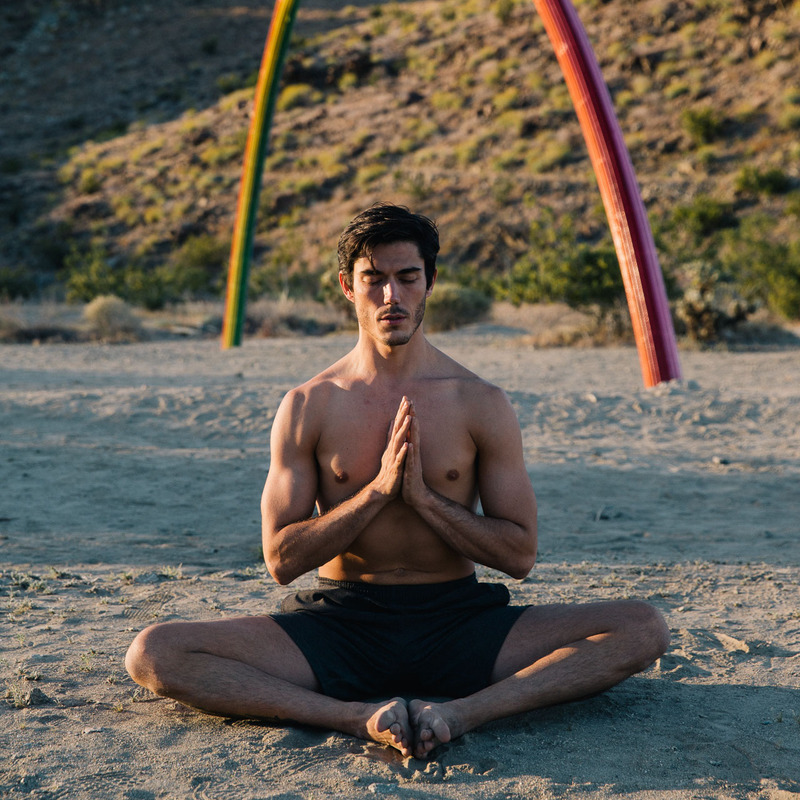 Yoga has many benefits from helping athletes release workout-induced tightness to increasing total-body strength and even improving posture. But when you crank up the heat to somewhere between 90 and 105 degrees, new things start to happen in your body and mind. Here are five things that could occur while you’re in that steamy room. It can temporarily dull your brain power. Immediately after a hot yoga class, studies have shown people have a decreased cognitive reaction time—meaning they think and react slower. It’s probably due, in part, to the hormonal adaptations that come from regulating your body temperature and change in your blood viscosity, and therefore blood available to the brain, says Lara Benusis, yoga research consultant for Equinox and Pure Yoga, physiologist, and researcher at Columbia University. That means you should think about the timing of the classes you take (i.e. skip it right before an important work meeting). Your threshold for discomfort will rise. In one study, subjects who did one hour of hot yoga every day for two weeks actually scored the pain lower over time. “This leads us to consider that one of the adaptations to hot yoga might be an increased tolerance to the heat or discomfort,” says Benusis. That, in turn, could actually make you a better athlete by making you more mentally disciplined. “Not only are you being forced to sit through discomfort, but also yoga is slow enough to where you don’t have to focus so much externally and can instead provide a moment for us to focus on our internal signalling process,” she points out. And, in fact, being mindful of how your body feels in certain scenarios and pushing your threshold for discomfort are two habits sports psychologists recommend. The heat can act like fuel for your muscles. Benusis reports that students who take hot yoga say the heated environment helps to reduce muscles stiffness. While there is yet to be research on the changes in plasticity of your muscles and joints, it is known that general exercising in hot environments can increase blood flow to skeletal muscles, which can increase the available glucose and oxygen to the muscles. Both are essential for how your body converts and produces energy, like ATP molecules, which help fuel your muscles. “Feasibly we could see this benefiting athletes because it would aid in facilitating their recovery,” Benusis says. Plus,studies have shownheat can help increase flexibility of your ligaments and potentially help reduce injuries. And we can assume hot yoga would have a similar benefit, per Benusis. It could spike your heart rate and core temperature. Because there’s such an inconsistency in temperature from studio to studio as well as other factors (i.e. how many bodies are in the room), it makes what findings that do exist hard to apply. For example, while one studyfound that a 90-minute 105-degree class caused most people’s core temperature and heart rates to skyrocket (70 to 80 percent of the max HR for women and men), another founda 60-minute class at 92 degrees had no negative effect on core temperature and heart rate. “Plus, the limited studies we have are small, looking at acute exposure or short-term adaptations, when, in reality, people are using hot yoga repeatedly for years,” she adds. Men and women tolerate the heat differently. For women, your menstrual cycle affects how you experience the temperature in the heated room,according to a study in the International Journal of Psychophysiology, with similar findings in Pain. Women have a higher tolerance to the heat during the follicular phase of their cycle (first day of menstruation through first day of ovulation) compared to men. The opposite becomes true during the luteal phase (between ovulation and your period), at which point women actually become more sensitive to heat. And if you’re pregnant, you should skip the practice altogether. “Your blood pressure tends to be lower in the first trimester because progesterone relaxes your blood vessel walls, which means excessive heat exposure can cause dizziness and fainting,” says Benusis.